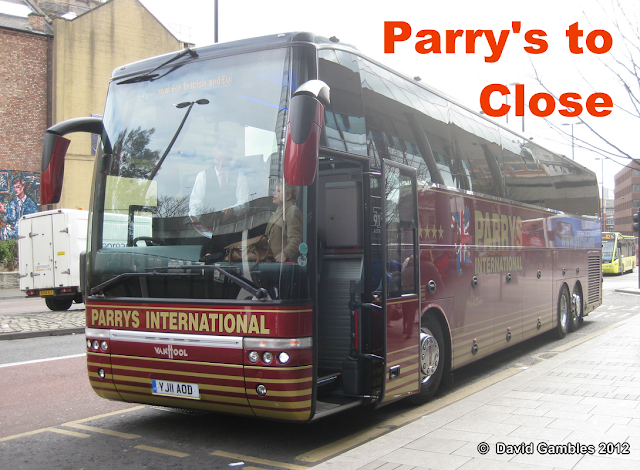 Parry's International, the West Midlands based award winning coach operator is to close down at the end of 2013. The business which is still profitable, will be sold immediately after the last tour - a 2014 New Year holiday, returns to base. All vehicles and the premises are owned outright and will be sold separately. It is not intended to sell as a going concern. The latest coach, a Neoplan Starliner which will soon join the fleet, is still being built and is due to be launched at the UK Coach Show.